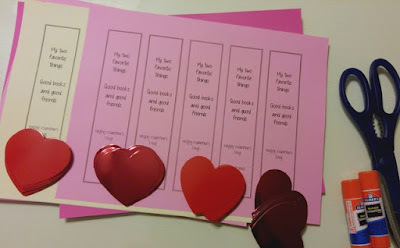 Assembling these bookmarks would be a great activity to complete with the child who is handing them out. 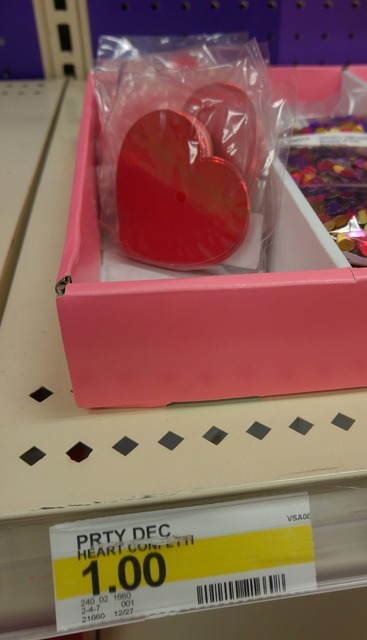 They only require a couple of simple steps and your child will love being part of making their Valentines for school. Use scissors to trim apart each of the bookmarks. 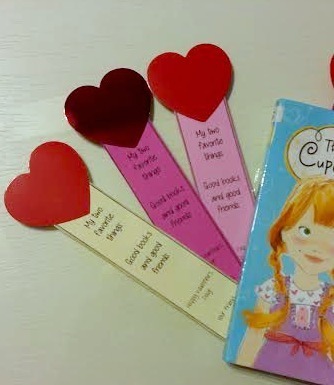 Place a v-shaped amount of glue at the top of the bookmark. 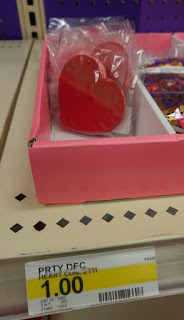 Place the heart into the glue and hold it there for a few seconds. Have your child sign their name at the bottom. 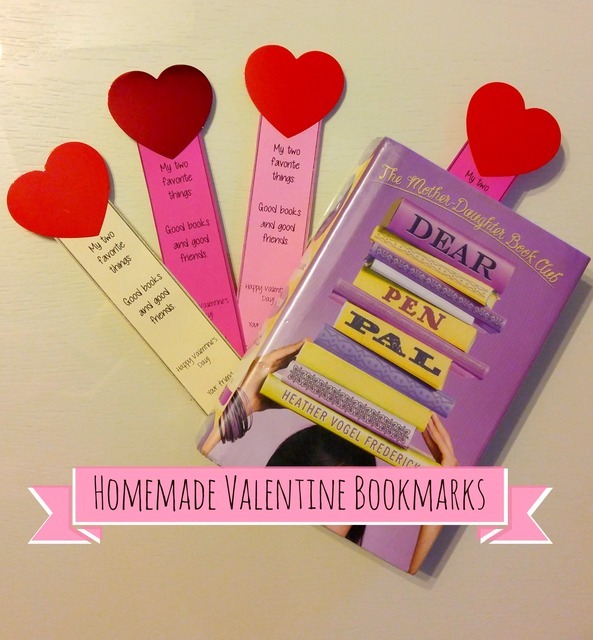 I love that this bookmark serves as a Valentine and that it encourages children to read and share their love of reading! !